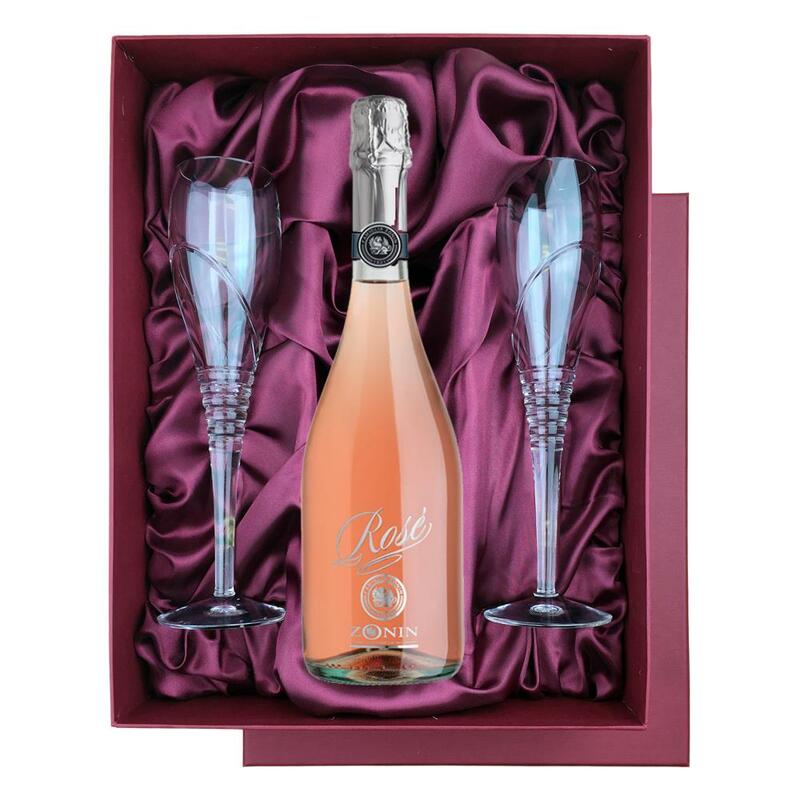 A bottle of Zonin Rose - A lightly coloured sparkling Rose Prosecco and two beautiful Saturn cut hand made flutes all supplied in a burgundy luxury presentation box, lined with satin. A lightly-coloured sparkling rosé with a fine and seductively delicate perlage. Pleasant, intense and fruity, evoking memories of wisteria flowers and Renetta apples. Well-blended and delightful. On the palate, it is soft and smooth with floral notes and a hint of almond. Well-blended and delightful. On the palate, it is soft and smooth with floral notes and a hint of almond. Excellent as an aperitif and an ideal accompaniment to hors d’oeuvres risottos, fragrant fried food and grilled fish.